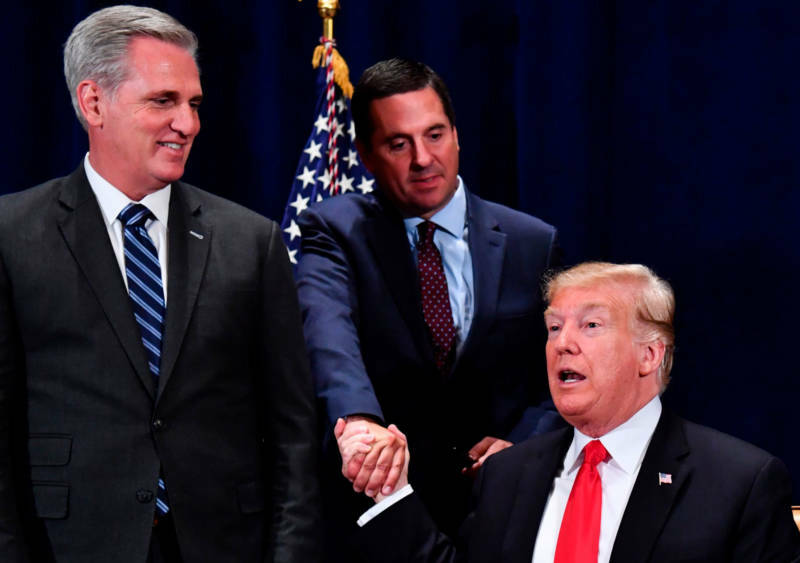 ven if you don’t follow Central Valley politics closely, you’ve probably still heard of Republican congressman Devin Nunes. As chair of the House Intelligence Committee, Nunes has helped defend President Trump throughout the Robert Mueller investigation into Russia's meddling in the 2016 presidential election. 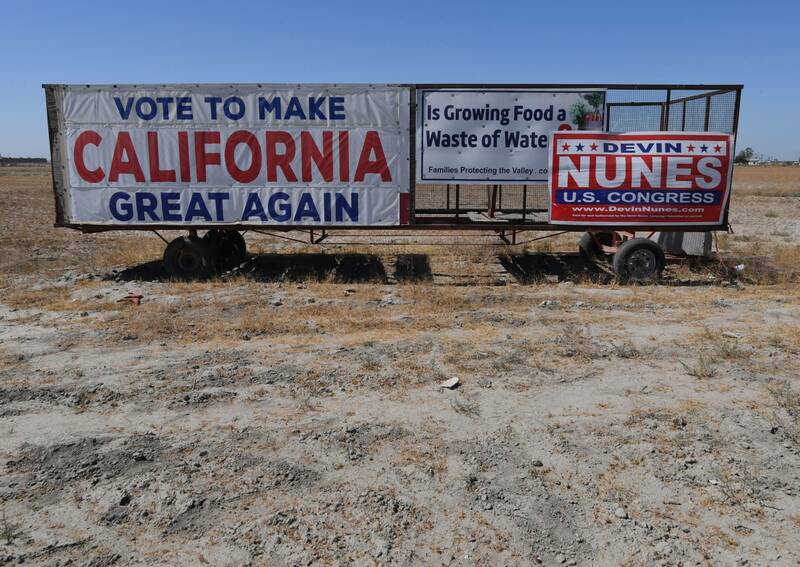 Nunes has leveraged his high-profile role as Trump's defender-in-chief to help collect a massive campaign war chest — $17 million — for a race in California’s 22nd Congressional District, which includes Tulare and Fresno counties. 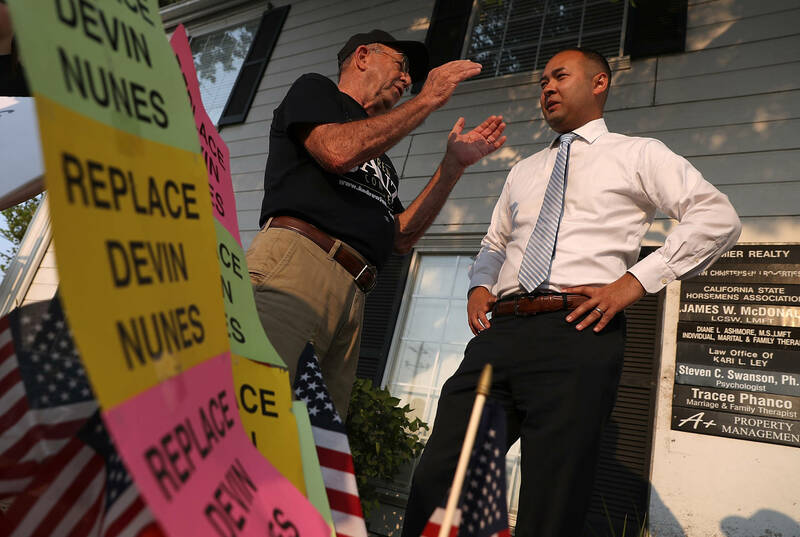 Nunes' notoriety has also helped his opponent, Democrat Andrew Janz. With help from progressive groups like Red to Blue California, the Fresno prosecutor has raised more than $8 million, an enormous sum for a challenger in a race within one of California's most poverty-stricken regions. All that cash makes this the most expensive congressional race in the country this year. Since his first election in 2002, Nunes has been easily re-elected seven times despite not having held a town hall meeting here in years. With little help from his Democratic Party, Janz has mounted the strongest challenge Nunes has faced since he first entered office in 2003. "I feel like Democrats have never tried to win here," says Janz. "Nunes has not done his constitutional obligation, which is to be a check on Donald Trump in the executive branch. So I really think that we need a representative from the valley that is willing to go to Washington and challenge the status quo." Nunes has skipped every opportunity to debate his opponent this election. Nonetheless, he is raising bushels of money, bringing in over five times more than he raised two years ago. On a recent Tuesday night at a bar a few blocks away from Nunes’ district office in Visalia, a group of men were having drinks before heading to a Nunes campaign fundraiser. Retired dairy farmer Jack Price doesn’t mind that Nunes isn’t debating his opponent. "I think Devin Nunes will win,” Price says. “Because he understands what the valley needs. The valley needs everything that’s important for agriculture. Is that water? Yes. Is that milk prices? Yes. And Devin has supported all of those." "Why would you go to a public hearing where the people that march on this street walk around saying, 'Devin Nunes is not my Congressman, President Trump is not (my president).' ... Why would you want that kind of conversation?” asks Brad Maaske, a Visalia real estate broker and general contractor who also supports Nunes. "In the valley, agriculture really is still king. And candidates who are seen as supportive of agriculture for the most part do tend to win,” says Fresno State University political science Professor Thomas Holyoke. “No issue is more important than water, and Congressman Nunes has built his career around the issue." Nunes recently lost the support of the district's biggest newspaper, the Fresno Bee, which had endorsed him in every previous election since 2003. The announcement to endorse his opponent this year came just weeks after Nunes’ campaign sent a 38-page magazine to voters in his district accusing the Bee of unethical and inaccurate reporting. The congressman's campaign did not respond to repeated interview requests for this story. At Evergreen Garden Center in Clovis, as customers browse drought-tolerant plants, an ad paid for by the Nunes campaign played on the radio. "President Trump and Devin Nunes are standing up to the environmental extremists who cut off our water," the ad says. "After his visits to the valley, the president understood the role our Central Valley serves in feeding the nation and the world." Geoffrey Callow, who works at the nursery, says he voted for Nunes in the past — by mistake. Callow believed the congressman was Latino because of his last name. 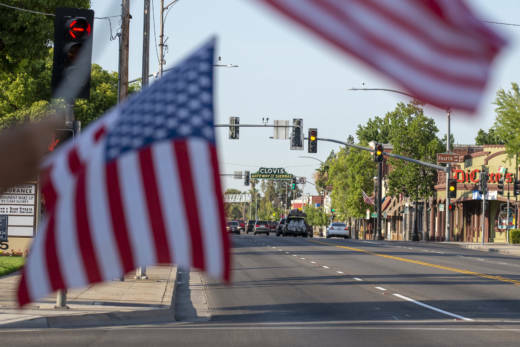 Nunes and several other local congressmen, including Rep. David Valadao, R-Hanford, and Rep. Jim Costa, D-Merced, come from dairy farming families that came to the Central Valley from Portugal's Azores Islands. "I saw 'Nunes' and I’m Hispanic, so I thought, 'Oh — he’s gonna be for us.' But then Trump got elected and I kind of realized what (Nunes) is about," Callow says. “A lot of people aren’t familiar with what’s going on, and there’s a large Hispanic population here in Fresno. I think they’re automatically going to go towards a name that they recognize and feel comfortable with, and that's worrisome." Callow supports Janz, whom he sees as the only way to make a change. Fresno State's Holyoke predicts the outcome of the race will come down to voter turnout.